It’s a persistent theory that not only does extraterrestrial life exist, but also that they may have made contact with humans on Earth in ancient times. These visitors to our prehistory are generally referred to as ancient aliens or ancient astronauts. 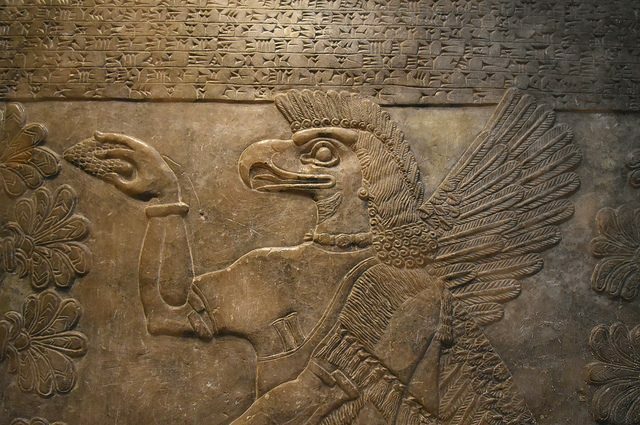 Subscribers to this theory cite that their belief stems from evidence in early art and writings suggesting that various cultures may have encountered ancient astronauts. Conversely, there is a whole body of scientists, historians, and archaeologists who maintain that such ideas have no basis in fact and those things being used as evidence for the ancient astronaut theories have far more plausible and human-based explanations. 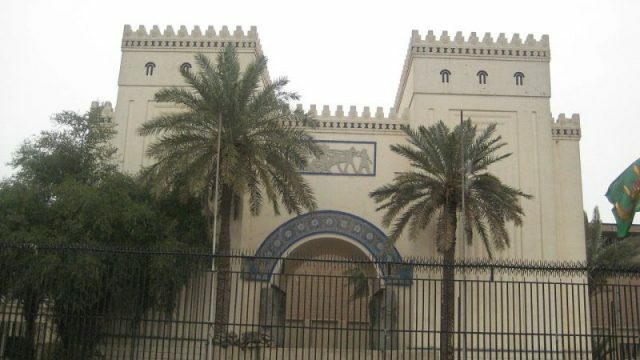 Paula Froelich wrote, in a blog for the Huffington Post, of something she saw while in Baghdad’s National Museum of Iraq. In a back room of the museum, she found an image on some pottery of a humanoid figure she dubbed Xorx. 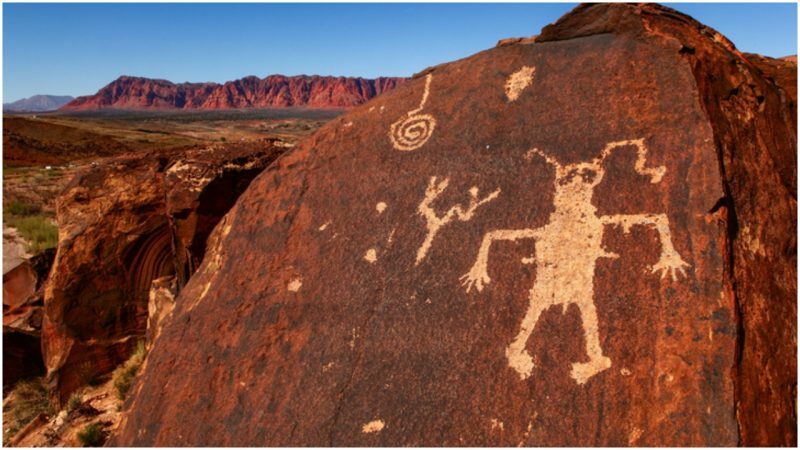 According to Historyplex, there are various sites around the world showing drawings that appear to be of alien life forms, such as drawings found in Sego Canyon, Utah, believed to date from 5500 B.C., and Australian representations of Wandjinas, Aboriginal creation spirits that closely resemble our current stereotypes for what an alien looks like. As fascinating as these images are, however, there’s no actual evidence to suggest that such unusual images are actually inspired by ancient astronauts. According to National Geographic, there are a number of ancient structures that many believe are proof of ancient astronauts, as well. One of these structures is Teotihuacan, an enormous, ancient city in Mexico. The site is well-known for its pyramidal temples and astronomical alignments, and it has existed more than 2,000 years. 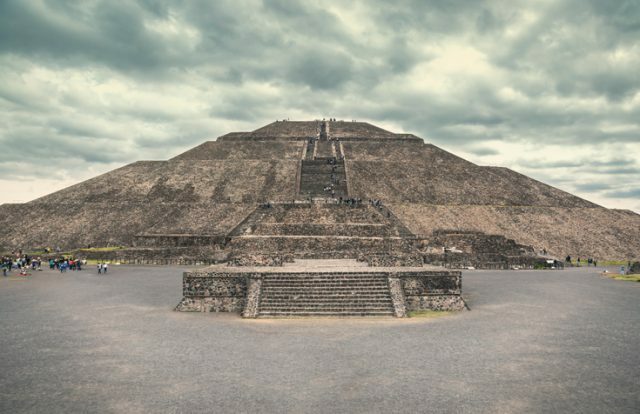 The Pyramid of The Sun in Teotihuacan, seen from the Avenue of Dead. Another example is Stonehenge. The Neolithic stone circle sitting in the middle of the English countryside weighs around 50 tons, and inspired a Swiss author, Erich von Daniken, to suggest it was a model of the solar system, and also functioned as an alien landing pad. How else, after all, could the enormous stones making up Stonehenge have been transported from the quarry where they were cut? Even renowned physicist Carl Sagan wrote a peer-reviewed paper while at Stanford, that gave an in-depth statistical analysis and explanation for why he believed that not only do aliens exist, but they must have come to Earth at some point in our early history. The essence of his argument is one of the probabilities. In a Universe that is so large, it is virtually impossible that our one, small, planet could be the only one which as ever generated intelligent life. 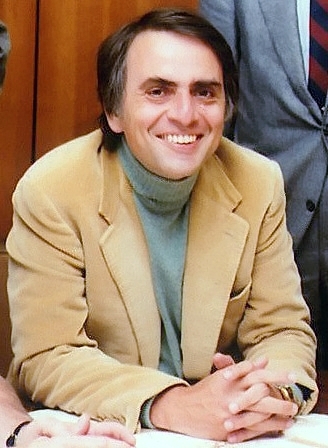 Despite Sagan’s work with SETI, in search of extraterrestrial life, he still says, in an interview for NOVA, that to be taken seriously, proof of actual alien visitation would require physical evidence that skeptical scientists could examine in detail, and at leisure, such as the discovery of a ship including isotopes that don’t exist on Earth. Such evidence has yet to be uncovered. Archaeologists have rebuttals for all of these suppositions, however, except for Sagan’s. Scientists have demonstrated how Stonehenge could have been constructed using only the technologies that were known to be available 5,000 years ago. There is ample documentary evidence that shows that the Egyptian pyramids were constructed by human hands and the same is true for the other sites that ancient astronaut theorists hold up as evidence. As much as the idea that the planet has already been visited by aliens is an engaging thought, and one that many people support, the simple truth is that there has yet to be any scientific reason to believe that it has happened.